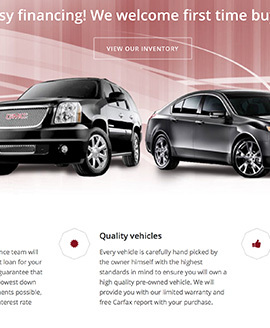 Web tools for automotive dealers & services. open tools and services for cool SEO websites, data management and lead generation. Smooth, automatic transition from traditional to mobile design. Design and development are what drives us to provide more to you. High end tools developed so any dealer can afford them. Whether a dealer or a service provider, our open API means you, or us, can develop the tools you need. We've just launched ListingKit, our automated inventory PPC platform! We take all of your vehicle inventory, auto convert live inventory into digital PPC ads on Google Adwords! All automated. You set your budget and they are off and running! Check it out at www.listingkit.com. 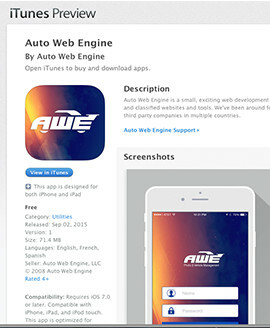 Auto Web Engine - Dealer website, design and pro tools. We've helped 1000's of dealers and 100's of service providers tell customers their story of who they are. Not just a name. We are cloud hosting by design and are open for anyone to use and connect to for services. Not only are our websites beautiful, our code is just as pretty. Lean, clean and fast. Inventory management, exports, imports, Facebook app, Craigslist tool, window labels, CRM, and then some. All of our tools use current development standards and our open API means if we don't have it, we can get it. For a low monthly fee of $99 a month, all we have is open to you. Use what you want, don't use what you don't want. We release numerous updates and new tools every year. And with our open API, you can develop your own tools. We don't charge for support issues and we can even provide access to your site so you can support yourself. Our database is secured with the latest encryption and we do not store sensitive data. "I've had a lot of great personalized help. They are affordable and feature-rich." Download our latest app for taking high res photos of your vehicles as well as collecting vehicle data! You don't even need a website with us to use this! We can export your information anywhere you need it to go. Build Your Own Site or We can build it for you! Simply put, we'll take care of everything if you need us to. You have access to everything and can change anything you want on your website, app, etc if you want to. 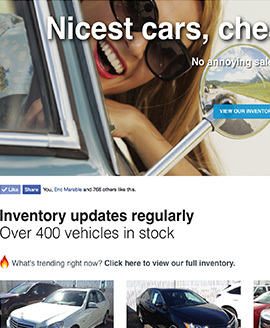 We get your inventory into DealerCloud.com, our API feeds that inventory to your new website, classified accounts, free accounts, Facebook, etc. Once we have everything set up, it's smooth sailing. Capture leads, post to Craigslist, design your own app, have us design you an app - you can even design your own window labels if you want! Our PHP inventory script is incredibly easy to use, no database or install needed. 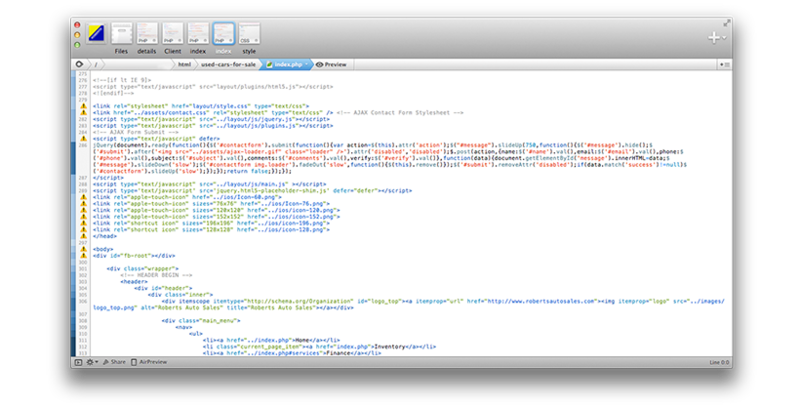 Simply drop it onto your hosting, add your API token id, then edit the CSS if you want. Simple as that. Whether we build and manage your site or you do, we'll support you 100%. Even with code assistance, there's no hidden fees for any support. 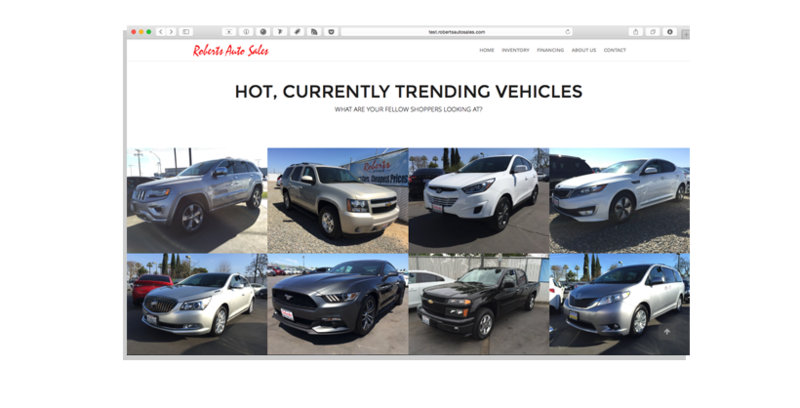 ready to get your dealership online? Do you need to show inventory on a WordPress site? 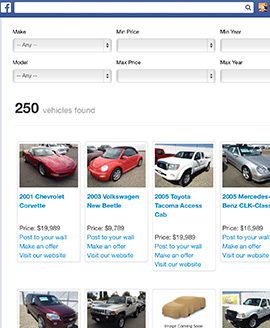 WE HAVE A WORDPRESS PLUGIN FOR DEALER WEBSITES! It runs off our API is available for current versions of WP. It is free to download and use if you are signed up with us. Know what it does. And what it could do. Below is a rundown of all the default tools and features available. Please keep in mind, if you do not see something, it can be developed. Designing your own site or sites for others? Do you provide dealer services? Use our tools, we don't mind! Details. We've had over 200 third party service providers using our reseller/developer account to manage their own dealer web services. 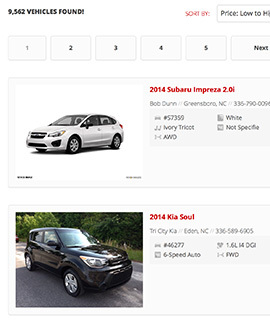 Develop and manage dealer websites, design dealer apps, use any of our tools. All the features listed above are available to you for use with your own dealer accounts. Fee's are low, set monthly fees and you can bring on unlimited number of dealer accounts - that you manage. Do you run a classified publication? Manage all your dealer inventories, get a classified website, use all our tools. We even have a publishing tool compatible with InDesign. Tap or click me for details! A small sample of what we do. And what we can do. *Excludes certain custom development. Your privacy.